Slums: crumbling overcrowded shanties, often a labyrinth of clichés in misery and inadequate housing. Locals and foreigners view slums as no trespassing zones where violence, poverty and squealing rats are the only things to be found. But there's much more to that - urban treasures, which usually get little to no attention. 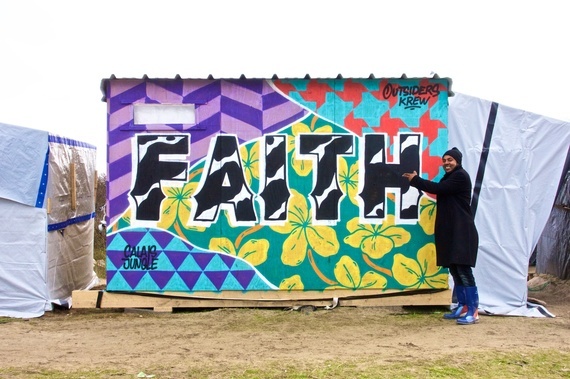 The Outsiders Krew is now helping stop discrimination against people in slums and other marginalized communities from Kathmandu to the Calais "Jungle", by transforming makeshift dwellings into sprawling, outdoor art exhibits. Whether or not you view graffiti as art or vandalism, the Outsiders Krew is beautifying "the struggle" in low-income neighborhoods and empowering locals with a simple formula. 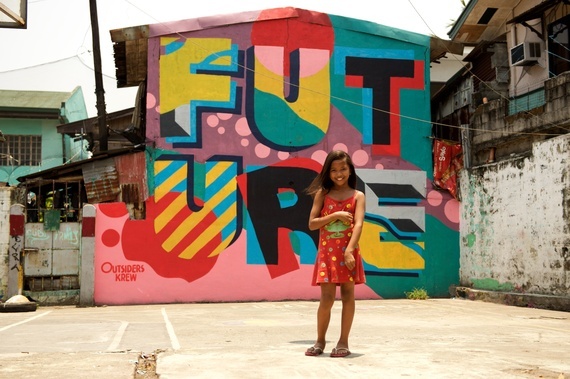 Since 2013, childhood friends, painter/graffiti writer Seb Toussaint and photographer/filmmaker Spag, bridge slums to the outside world through their "Share The Word" project. Communities in low-income neighborhoods and refugee camps choose empowering words to paint in freestyle on outside walls - creating a dialogue between people from different social and economic backgrounds. Support Share The Word ! from Spag on Vimeo. UN-Habitat states that the number of people living in slum conditions is now estimated at almost 1 billion. 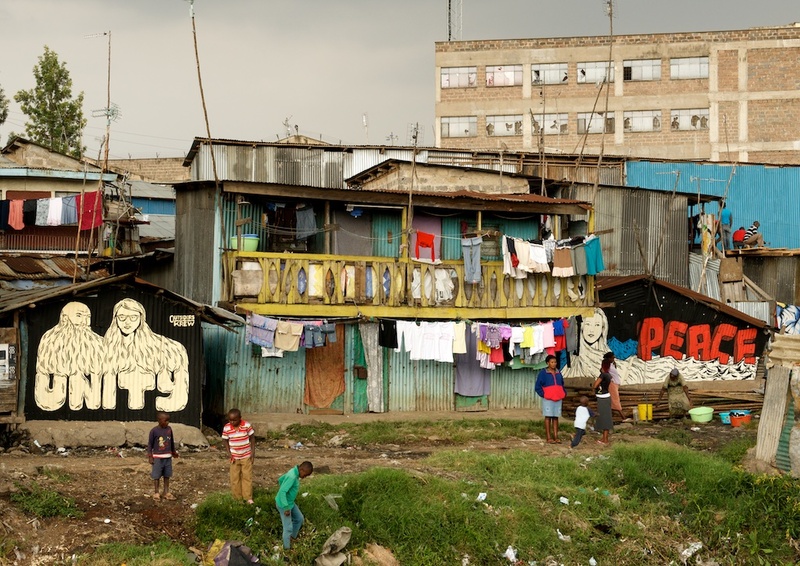 In light of such statistics, initiatives such as "Share The Word" promote an alternative to inquisitorial "slum tours" and draw attention to the thriving communities who have long made slums their home. "Some slums we work in have issues with malnourishment, others with illiteracy, gun violence, slavery, contaminated water, or AIDS. 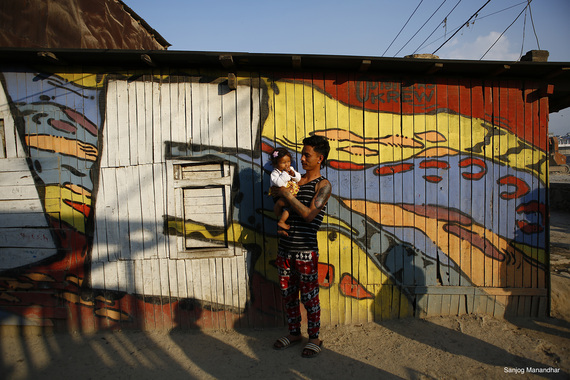 Slums in different countries face different day-to-day problems, but they all have one issue in common: they feel excluded from the rest of the world," artist Seb Toussaint explains. He says that public transport doesn't always provide a service to these communities, and because of a tough reputation, people from wealthier neighborhoods are tempted to demonize slum dwellers, build social boundaries, and tend to keep a cautious distance. "So you have a situation where different neighborhoods of a same city live a separate and very unequal life. The reputation of violence and poverty triggers job discrimination and tends to further isolate and impoverish the slums. In many cities slums are considered a problem. The people living in them feel undesired". Share The Word Project - Kathmandu from Spag on Vimeo. The Outsiders Krew usually stays four weeks working in a particular community highlighting challenges and dreams "in their own words". So far they've painted 100 murals in 8 different countries. 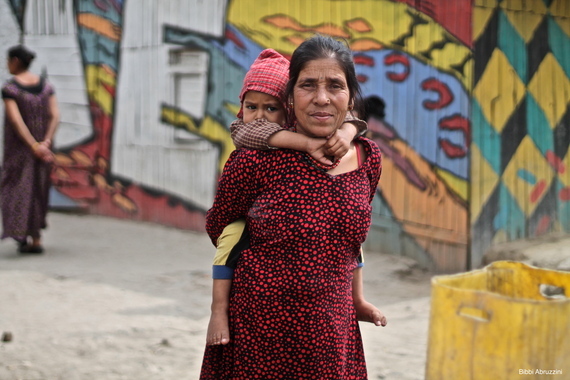 I first came across the "Share The Word" project in Kathmandu's largest slum. 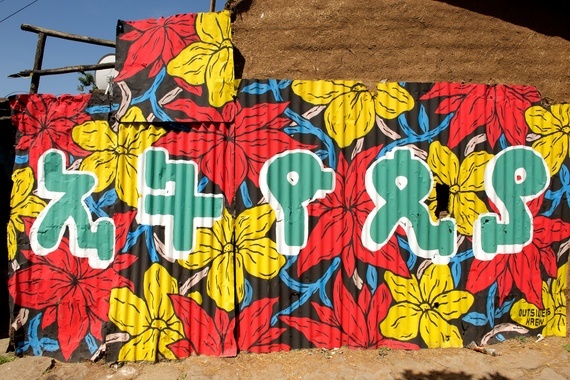 Narrow crooked alleys and crumbling shacks had been splashed with color as many locals allowed the two artists to spruce up the walls of their tumbledown settlements with uplifting words such as 'Change', 'Welcome' and 'Thank You'. 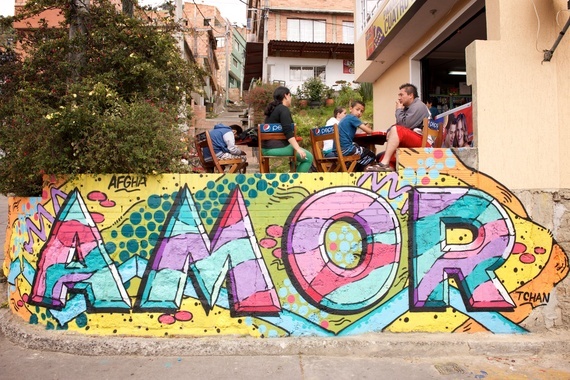 The murals have survived the April 2015 earthquake that killed over 8,000 people and injured more than 21,000. "The idea is to listen to what communities living in slums want to share with us all," Toussaint says. 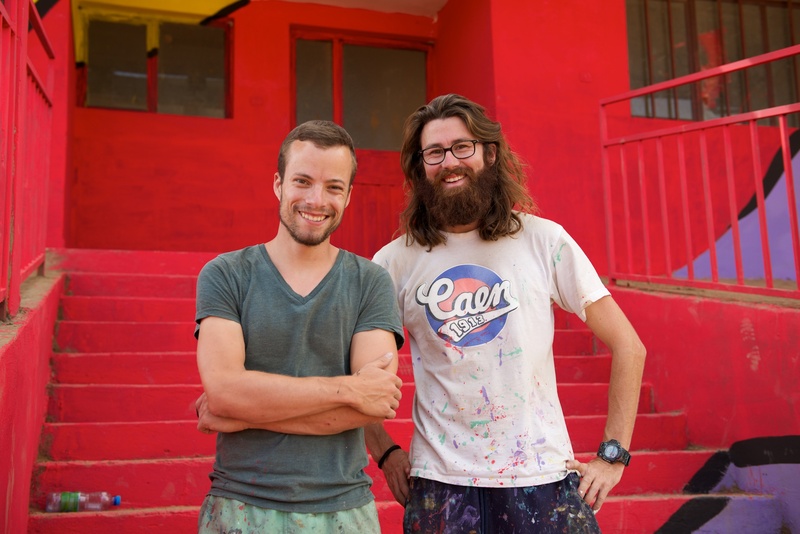 "We want to get people talking about the slums, and to make them aware of what goes on in them, especially all the positive things that never get anyone's attention." "Share The Word is also a great opportunity for us, as young artists and young adults to learn about the world, about ourselves and about different cultures. The people from these communities have taught us a lot, often without realizing it," Toussaint adds. 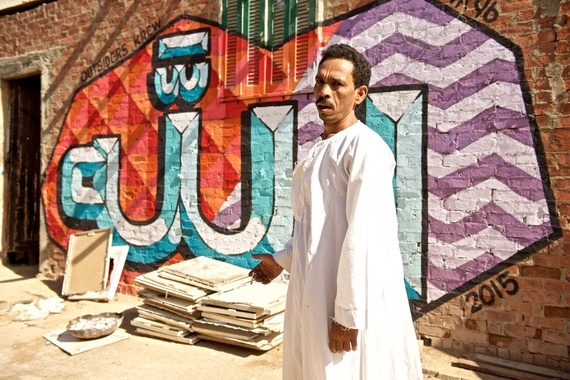 Share The Word Project - Cairo from Spag on Vimeo. The Outsiders Krew recently took their project to a slum in southern Cairo, Egypt, where the once-popular Jewish cemetery of El Basateen now stands abandoned. People try to survive in this vast necropolis turned into a metropolis for the poor. 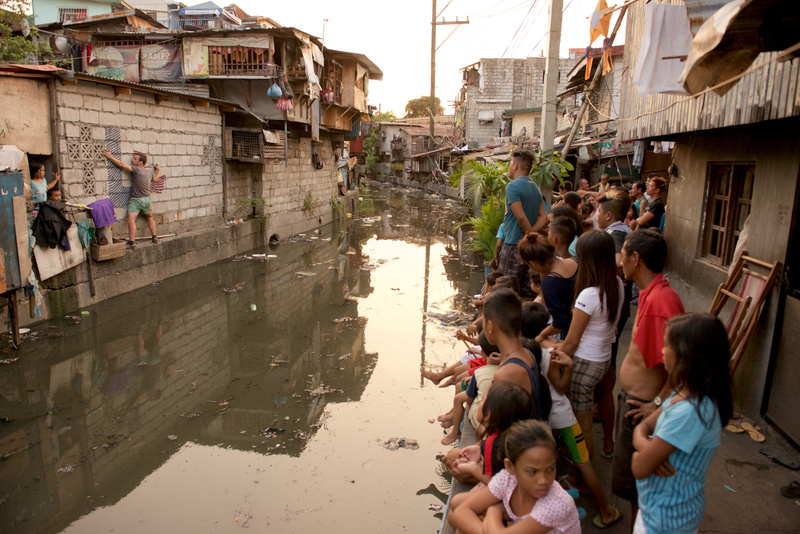 "People in the slum are completely on their own. That was true before and after the revolution. In this slum, there were fewer people who had AIDS, who were hungry and who had firearms. However, there was less hope," photographer Spag says. Egyptian journalist Mohamed Abdelfattah explains how, indeed, there is a stark and visible contrast between rich and poor in Egypt, particularly in Cairo. 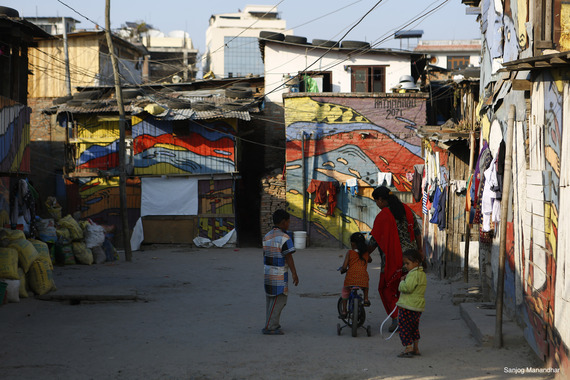 "Impoverished areas, like El Basateen, are rarely given any form attention from officials. Initiatives like these [Share the Word], including ones done by local Egyptians, are probably one of the few and only avenues of happiness and relief that kids get," Abdelfattah says. "Waves of unrest will emerge sooner or later because the current regime continues to crush the youth and the poor. These marginalized communities are the ones often paying the highest bill." The Outsiders Krew's latest project in the Calais "Jungle" encouraged refugees fleeing war and misery in their homelands to voice hope and concerns. 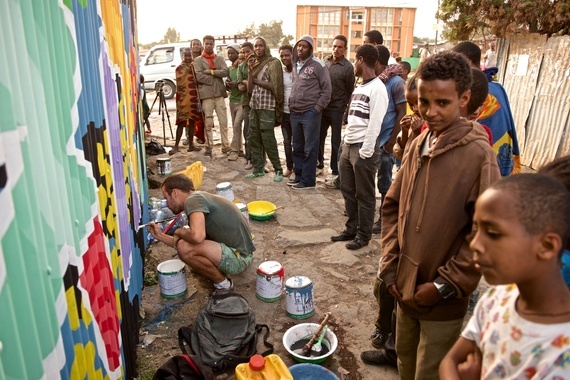 The art collective painted in different parts of the refugee camp currently being shut down by authorities. "It was a very interesting experience with obvious similarities with the slums we are used to working in, and at the same time, big differences. Firstly, the community living in the camp is in transit. It's also a very diverse place with 22 different nationalities living on site," Toussaint explains. 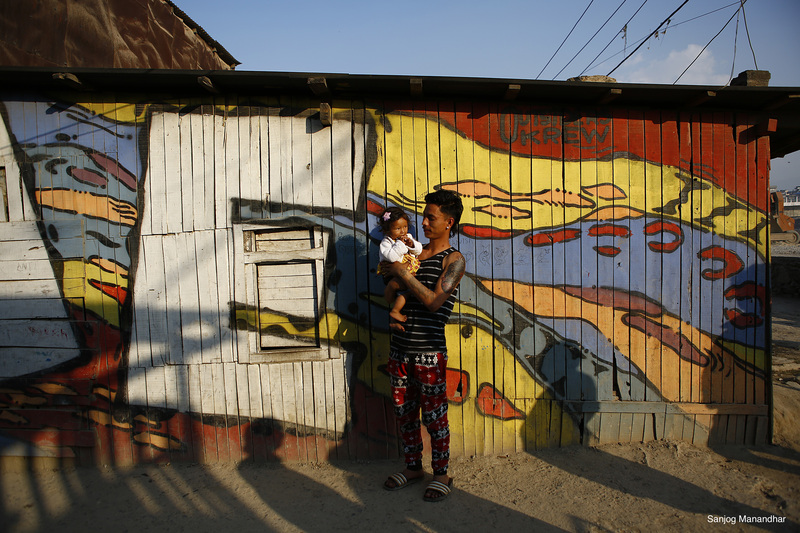 "Many of the migrants are highly educated and aren't the typical population you would find in slums. For once, no one there had trouble reading the words painted on walls." Toussaint believes that dismantling the camp isn't going to solve the problem, it's just going to add to the migrants' burden. "It seems like politicians and journalists are talking endlessly about this complex problem, but very rarely do we hear what the migrants themselves have to say". Our planet is urban. The absolute number of slum dwellers continues to grow due to the fast tempo of urbanization. As the duo of artists explains, the "Share The Word" project represents an effort to improve the slum environment and empower the people living in these communities. "This sort of interaction is a small, yet important step". All Photographs (c) Outsiders Krew. Photos in Kathmandu (c) Sanjog Manandhar.